(Multipack) Firestick TV Stick USB Power Cable for Fire TV Stick (Amazon Fire TV not included) (2 Pack) by fireCable by fireCable at Pacs BG. MPN: 43222-7851. Hurry! Limited time offer. Offer valid only while supplies last. Compatible with Amazon Ethernet Adapter, All-New 4K Fire TV Stick, And other HDMI devices. 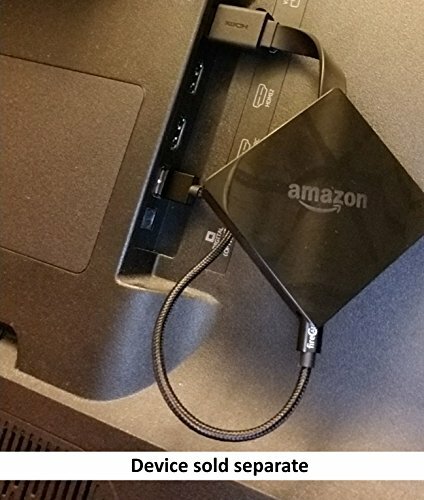 Fast & Simple Install | Simply connect one end to your Fire TV Stick & the other end to your TV's USB port, Done. Enjoy a clean clutter free media center! If you have any questions about this product by fireCable, contact us by completing and submitting the form below. If you are looking for a specif part number, please include it with your message.